BC Books for BC Babies…and beyond! #TuesdayTalk with Trina St. Jean. 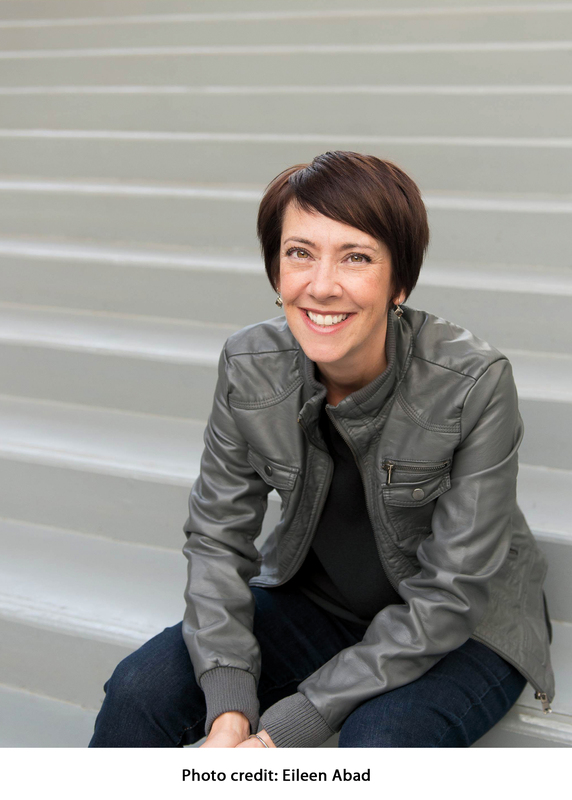 Trina’s debut YA novel, Blank, launches this month. Trina, what’s the oddest or most unusual job you’ve ever had? I wrote personality tests for one of the top online testing sites. Some were serious, like The Resilience Test, and some were just for fun, like The Gossip Test. The other test-developers and I had a blast coming up with ideas and questions. How can you not have a good time when you’re creating a “Bad Party Guest” test? Do you have a routine or ritual when it comes to writing? I’m a teacher, but lucky enough to have a few afternoons off while my daughters are at school. I sit with my laptop at the kitchen table, on the couch in front of the fireplace, or outside on the balcony gazing at downtown Calgary (when it’s not -30 C). I have a chai latte or strong coffee when I start to feel drowsy (and I am usually fighting the afternoon sleepies). When desperate to procrastinate or get a boost of energy, I sneak some of the kids’ Halloween candy. For motivation, I go for a walk or create a pinterest board for a story or character. Sometimes a little snippet–like the expression on someone’s face, a person’s quirky habit, an element of an odd or interesting story in the news–plant a seed in my mind and that grows into something bigger. Mostly, though, my stories evolve from a character, and the voice of that character whispers in my head like a real person. Yes, I know I sound like a lunatic! It’s all about character and voice. I love quirkiness, a touch of humour and writing with heart. I love to really get into the head of an endearing but odd character and feel what they feel. What one place in the world are you dying to go to? Why? Italy. Why? Pasta. Gelato. Those crunchy little cannoli stuffed with ricotta. Delizioso! It might not technically be a board game, but right now I love playing the dice game Yahtzee. It’s simple and fast and so, so, satisfying when you get a Yahtzee. Not that I ever do. Try to find your voice. Don’t try to emulate anyone else’s style, but pay attention to the writers you like and what you like about them. Don’t write for plot: write about what moves you, what touches you. (You might have to figure out what that is – dig deep.) Then don’t be afraid of hard work. Writing can be painful and tedious sometimes. Rewrite again and rewrite again until something rings true. In grade two, I wrote a story called Christmas on Mars. It was about an alien named Beep-abop who observed Christmas on earth and wanted to celebrate it too, but got all the traditions mixed up. Like hanging turkeys on the tree. It was longer than anything I had ever written, and when I read it at the front of the class everyone cracked up. They wanted me to read it again, and the teacher let me. I felt like a rock star. Which means, at that time, I felt like one of the guys from KISS. Trina St. Jean grew up in northern Alberta but later moved to pursue degrees in psychology and education. She also has an MFA in Creative Writing from Vermont College. She now lives in Calgary where she teaches ESL and enjoys strategically evading grizzlies in the nearby Rockies with her husband and two daughters. 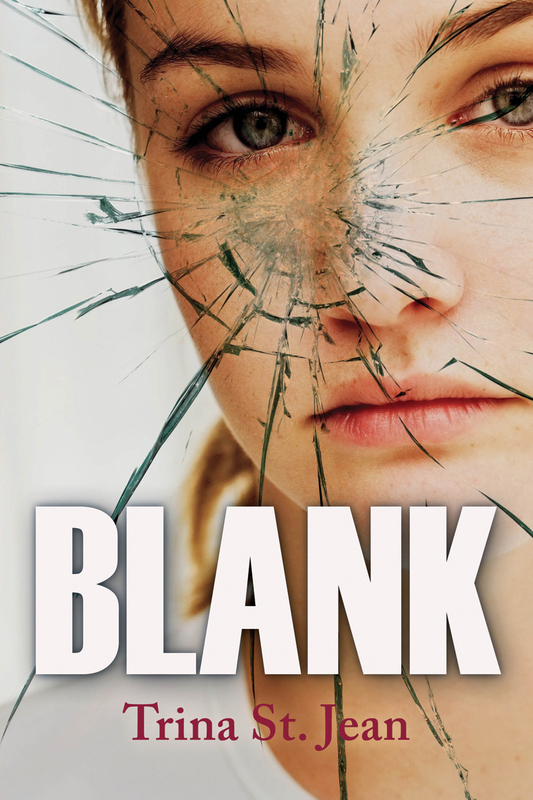 Blank is Trina’s first novel.Visit www.trinastjean.com for more information.